If you’re looking for window well covers near Rockford, IL, do yourself a favor and call Window Well Experts first. For almost half a century, we’ve been making, selling and installing window wells, and we’ve got a huge selection of shapes and sizes. Our window wells are made from Lexan (TM) polycarbonate. They’re able to withstand over 400 pounds of force, making them practically unbreakable, and they’re UV coated to protect from the sun’s rays. We carry lightweight window well covers and grates in dozens of shapes and sizes, so we can be sure to fit your window well, your house and your budget. Give us a call to find out how we can serve you. For the ultimate in home protection and ease of maintenance, sloped window well covers protect your home from water, snow, ice, animals and dirt. With these covers installed, water, snow and debris will slide harmlessly off your window wells, and when it comes time to clean them, you just need to hose them off. Like all of Window Well Experts’ polycarbonate covers, they allow full natural light to reach your basement, and their UV treatment ensures they won’t grow discolored, faded or brittle for 15 years to come. Give us a call for sloped window well covers near Rockford, WI. If we don’t have the size you need, we can make you a cover to order. Keep a low profile with flat window well covers near Rockford, IL. These polycarbonate covers are easy to install, easy to wash, and almost impossible to break. 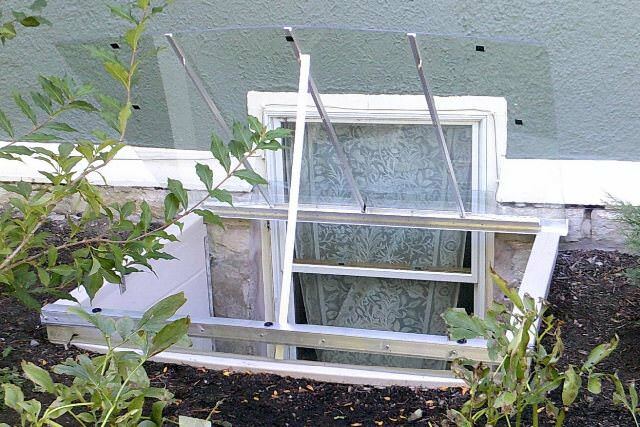 Whether you’re attaching them to one of our high-quality window wells or to an existing concrete, stone or metal window well, our window well covers protect your property’s value and make your house safer. Because window wells and covers are our entire business, and because we make all our products on site, we have a massive selection of sizes, plus custom models. We sell rounded bubble window well covers near Rockford, IL. Whether you’re looking to cover a small window or a full-size emergency exit, these bubble window well covers offer superb quality, durability and ease of installation. This popularly shaped window well cover comes in dozens of heights, widths and shapes, including egress window covers that comply with every set of local building code regulations. Our quick release egress locks allow you to easily remove the cover in case of emergency, but prevent intruders from accessing your basement windows, protecting you and your belongings.